This structure was built in 1961-62 to serve as an office for the 1.2-mile Monorail system between the Seattle World’s Fair Century 21 Exposition and the Westlake Mall in the central business district. One of the greatest concerns of the fair organizers was to provide adequate parking for the thousands of daily visitors. In keeping with the theme of Century 21, the first full-scale public transit Monorail would be constructed as one of the solutions to this expected problem. As a potential model for rapid transit in 21st century urban centers, the Monorail would be an experiment to see if modern techniques would make it possible to run an overhead track along a city street without impairment to air space or interruption of automobile traffic and serenity. The organizers also envisioned that the Monorail would be the fair’s biggest attraction. This was before the idea for the Space Needle, the unofficial symbol of the fair, developed in 1959 and became a reality with the start of construction on April 17 1961. As it turned out, the parking problems were less severe than expected, partly due to the fact that a number of landowners in the area decided at the last minute to demolish their old buildings to profit from the lucrative business in surface parking. However, the Monorail was a huge success, carrying more than eight million riders during the six months of the fair. Monorails had been around since 1901 when the Rhineland city of Wuppertal began to operate a ten-mile overhead monorail line. Over the next sixty years, few new Monorail systems were installed except at several amusement parks, most notably Disneyland. The Disneyland Alweg Monorail opened in June 1959 as part of a major expansion of Tomorrowland. In June 1961, the Monorail became a true transportation link instead of just a sightseeing ride. With an extended 2½-mile track, Disneyland Hotel guests could board the Monorail at the hotel and begin their park visit in Tomorrowland. Swedish scientist Dr. Axel Lennart Wenner-Gren had developed the Alweg Monorail System in the early 1950s in Cologne, Germany. The name for the system was derived from the initials of the system’s inventor, Dr. Wenner-Gren. After the fair’s organizers developed the idea for a monorail system, they needed to find someone to build it, which proved to be difficult at first. Boeing and Lockheed were possibilities that failed to materialize. During the proposal stage, the Alweg Company had offered to completely finance the monorail project, which helped them win the bid for construction. For Alweg, the Seattle line would be the ultimate reference project to showcase all the system’s advantages in comparison to conventional two-rail lines. Headed by its president Sixten Holmquist, Alweg’s American subsidiary, Wegematic Corporation, began construction in April of 1961. Construction of the monorail generated more publicity abroad than the Space Needle and made it easier to negotiate for foreign representation at the fair. The whole construction period in Seattle took just ten months, and traffic on busy Fifth Avenue, the main artery for the monorail line, was only minimally obstructed during this time. On the fair grounds, a futuristic terminal and an adjacent modern office building were constructed near the southeastern corner from designs by Adrian Wilson & Associates. At the time, they were considered temporary exposition buildings. While there were four official entrances to the fair, the Monorail was expected to bring an estimated 80% of the visitors to the fair, making the exposition terminal the "main gate." Two four-car trains would shuttle back and forth on pre-stressed concrete beamways from the central shopping district at the Westlake Mall along tree-lined Fifth Avenue to the fairgrounds in 95 seconds. Pre-stressed concrete T-pylons placed about 85 feet apart supported the beamways, measuring three feet wide and five feet deep, which were fabricated in Tacoma by Concrete Technology Corp. Riding on 64 rubber pneumatic tires, the Monorail would run on 700 volts of Direct Current (DC) power obtained through contact rails on the inside of the beam. On March 24, 1962, the Monorail opened to the public nearly one month before the start of the World’s Fair. The high ridership during the six months of the fair meant that the system more than paid for itself. Following the fair, the Monorail system was turned over to the fair’s organizers, Century 21 Expostion, Inc., at no cost, which was a good way to avoid possible demolition costs and at the same time to preserve the line as a demonstration system for future Alweg customers. In 1965, the City purchased the Monorail for $600,000. Despite the success of the Monorail in Seattle, the Alweg Company was not successful in its efforts to provide an alternative to traditional public transit systems and went out of business before any other of their systems could be installed. The Hitachi Company of Japan did acquire patent licenses for the Alweg system in 1960, and today successful monorails based on the original Alweg designs operate full-scale service at various locations in Japan. In the years since the fair, the building has served as office for the Monorail and as a Fun Forest Administration Building. 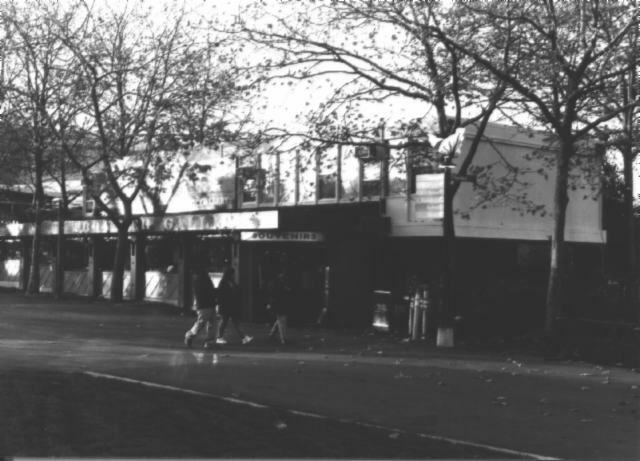 A retail store was later added along the first story of the south elevation. Despite its alterations, this building is significant for its associations with the only public Monorail system built by the Alweg Company in the world and with the Seattle World’s Fair Century 21 Exposition. 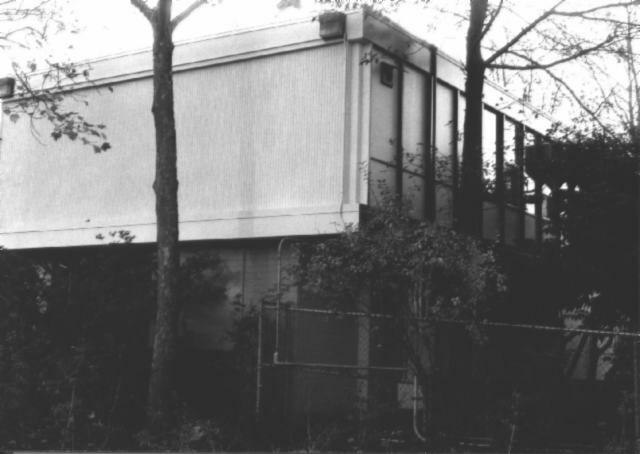 Completed in 1962, this small two-story office building occupies a site near the southeast corner of the Seattle Center. Originally, this wood frame and concrete block structure would have been located at the northwest corner of Thomas Street and 4th Avenue North. Originally, the overhanging upper floor rested on the concrete block base at the eastern end and cantilevered over an open parking area within the western half. Steel poles supported the upper floor at the northwest and southwest corners. Subsequently, this open area has been enclosed with plywood panels, and a one-story retail store has been constructed along the principal south elevation. The shed roof of this structure rests on wide concrete piers, which line the south elevation and frame the wide storefront windows set above patterned metal bulkheads. 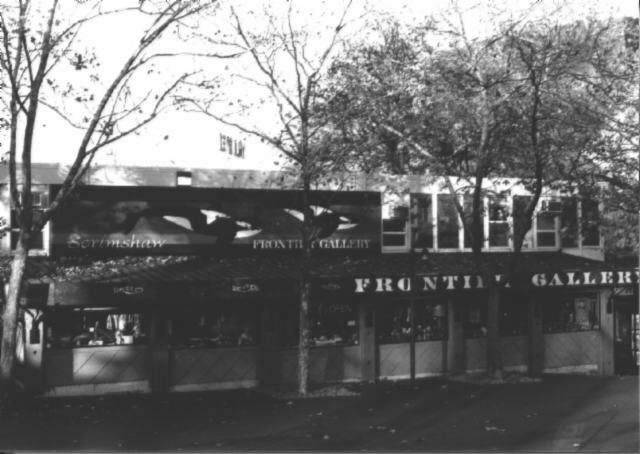 A copper sign band wraps the roofline on all sides and displays the name of the business, Frontier Galley. The entrance is located at the canted southeast corner of the addition, which completely obscures the ground floor level of the original building. The upper story remains visible above the later addition and measures approximately 67 feet by 28 feet. Wide boards wrap the top and the base of the block and frame the window openings, lining half of the south elevation and all of the north elevation. The east and west elevations of the upper block present blank walls. Wood mullions separate the single pane windows set above narrow wood panels. A full-height wood panel covers most of the western end of south elevation and features an orca mural. Originally, an "ALWEG MONORAIL" sign was installed on this panel. A single window is situated at the far western end of the south elevation. On the north elevation, a ramp extends from the Monorail Terminal on the north to an entrance door at the western end. A shed roof corrugated metal canopy covers the entrance. Additional entrances are located within the lower level although construction of the store addition impedes access to the original main entrance on the south elevation. This building retains poor physical integrity due to the later alterations and additions. Architecture/West. An Architect's Guidebook to the Seattle World's Fair, 1962. Seattle, WA: Pacific Builder and Engineer, v. 68, no. 4, April 1962. Morgan, Murray. Century 21, The Story of the Seattle World's Fair, 1962. Seattle, WA: Acme Press, distributed by University of Washington Press, 1963. Official Guide Book Seattle Worlds Fair 1962. Seattle, WA: Acme Publications Incorporated, c1962.